The French Pro A team ES Chalon-Sur-Saone announced the signing of the 6'7” small forward/power forward Ilian Evtimov. Ilian, who has both French and Bulgarian passport, signed a 2 years deal with the club. Last season Evtimov played for the Cypriot team AEL Limassol. He also appeared 13 times in EuroChallenge where he averaged 10.9 points and 3.3 rebounds. 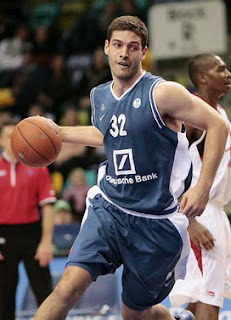 Ilian joined as a rookie the italian team Virtus Bologna in the 2006/07 season and then, from 2007 to 2009, he played for the top German team of the Frankfurt Skyliners.